Several Nintendo Switch owners who purchased a third-party dock from Nyko were furious last March when the dock apparently bricked their $300 console. On Friday, one brought a class action lawsuit against Nyko alleging that the company wasn’t vocal enough about the dock’s manufacturing defect. Nyko’s portable Switch docking kit is a cheaper alternative to Nintendo’s official $90 dock. Late last year, users raved about how portable and convenient it was. 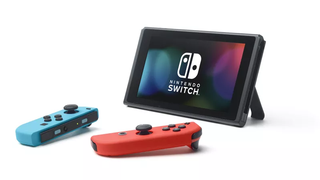 Until the Switch’s 5.0 update on March 12, many say it worked perfectly fine. Over the next few weeks, dozens of owners complained on Reddit and Nintendo forums that their Switches began losing functionality. Some stopped turning on entirely. The third-party dock issue wasn’t just limited to the Nyko—Switch owners who had purchased the FastSnail or Insignia docking kit reported problems, too. Last week, a disgruntled Nyko Switch dock owner named Michael Skiathitis filed a class action lawsuit in the U.S. district court of central California. The dock, which he purchased at a Walmart in Jacksonville, Florida, apparently messed up his Switch. In April, he sent it to Nintendo for repair and told Nyko about his issue—but in the meantime, he’ll probably lose all his save data. (The Switch, unlike Nintendo’s 3DS system and the rival Xbox One and PS4 consoles, doesn’t let users back up their saves, so a destroyed or lost system means that one’s save files are all gone, too). The lawsuit alleges that, “unbeknownst to consumers, the Nyko Portable Docking Kits for Nintendo Switch are prone to causing numerous problems to the devices that they are intended to support,” adding that Nyko did not go far out of its way to disclose the bug. Nintendo told Kotaku back in March that Switch owners probably shouldn’t buy unlicensed product and accessories. We have reached out to Nyko for comment and will update the story with their response. Asked about how many people are participating in the lawsuit, Skiathitis’ lawyers did not provide comment.